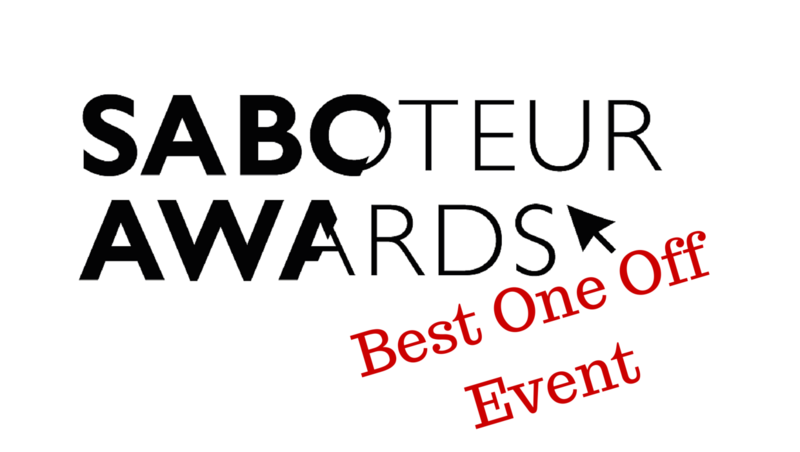 This month, we will showcase each of the works shortlisted in the Saboteur Awards by category. Next up: one off’s! If you’d like to have your say in the awards, don’t forget to vote! 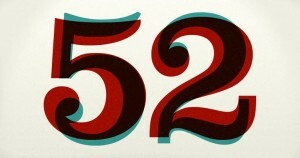 52 started as a gesture of support for the poetry community. It means the world to us that that same community has put us on this shortlist. On Jan 1st 2014 Jo Bell began a 52-week experiment; to build a robust critical community around prompts by herself and guest poets including Philip Gross, David Morley and Rachael Boast. 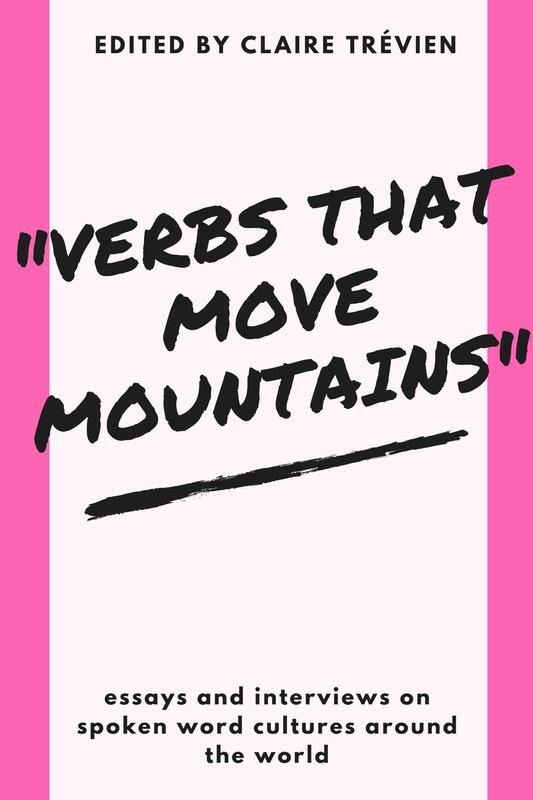 The idea was simple – “Write a poem a week. Start now. Keep going” – but the 500 members took the world by storm. A year later, our poems have won major prizes; editors are bowled over by the quality of new material; and most importantly, a generation of under-encouraged poets have raised their game and found a home. When you start seeing gaggles of people at poetry festivals and who have progressed together without having met before, you know that a project has succeeded in terms of outreach and engagement. Truly life changing and life enhancing. A placewhere established poets like myself,and total newcomers were “herded with care and humour” by the lovely Jo Bell…to produce the best we could. hundreds of friends forged. Honest critique and encouragement. Because it was an exceptionally generous project run by Jo Bell at no cost, which had far-reaching results and effects and which drew in and encouraged countless poets around the world to write more and write better. Jo put in a huge amount of unpaid effort to help writers improve beyond levels they would not otherwise have achieved. 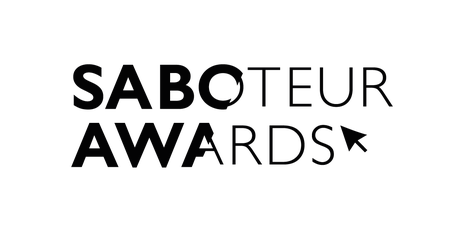 I am absolutely thrilled that Heart Poems for Children’s Heart Week 2014 has made it to the Saboteur Awards shortlist. My thanks to all those who nominated the project, but also huge thanks to my #HeartPoems poets. Without them, and their wonderful work, this event could not have happened. In 2008 my young daughter, Ella, died from a rare, incurable heart condition. She was diagnosed at birth. Congenital Heart Disease (CHD) is the most common birth defect in the UK. Since Ella’s death, I have wanted to raise awareness of CHD and the Children’s Heart Federation charity that does so much to support children with heart conditions, and their families. For the seven days of Children’s Heart Week 2014, my blog became a place of #HeartPoems by contemporary poets, each poem included the word ‘heart’. Alongside the poems, I shared facts about the charity. This project was a way of combining the things I spend a lot of time thinking about: the fate and future of heart babies, and poetry. Rebecca has become an ambassador for paediatric heart charities following the death of her own daughter. Her selfless commitment deserves recognition. Fantastic poetry but also for a really fantastic cause – shows poetry can simultaneously work as art and something purposeful/useful. I read all of these, every day and it just amazed me. the theme and the quality were astounding. When you live and work outside London and you decide to perform underground for just six people at a time, it can feel like you might be buried before you begin. I am enormously grateful to the Saboteur Awards for digging projects like this into the light. And I’m ecstatic to be in the shortlist. 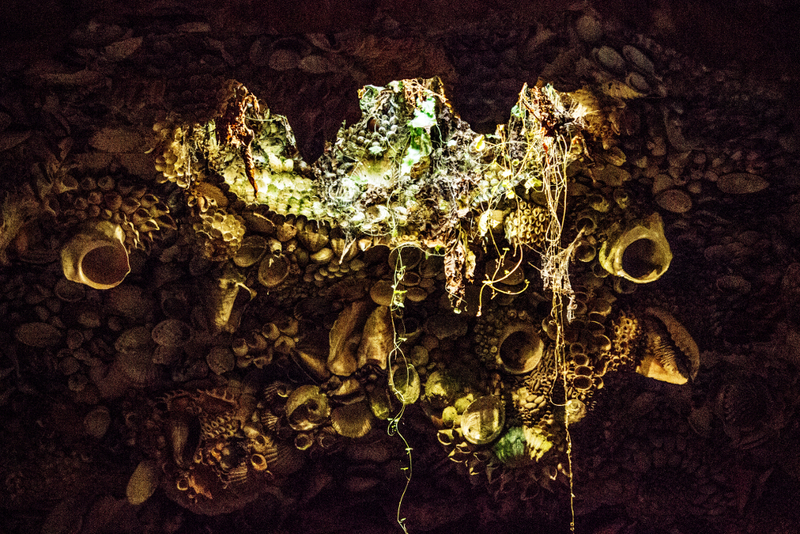 Performed over three days, MINE led residents of Bristol through the soil of their own city. Entering the grim intimacy of Goldney Grotto, an eighteenth-century vault of crystals and shells from slavers’ ships, the audience and the poet played a game of cards and traded lines of the poem to excavate Bristol’s origin myths: the giant Ghyston who murdered his sleeping brother, the slave ship called The Beginning, the stalactites faked by a wealthy merchant who ran out of time. Part guided tour, part live magic, MINE was a multi-vocal exploration of what it means to belong to a place. Adventurous in its form, beautiful in its format. I really want to handle it, read it and think about it. 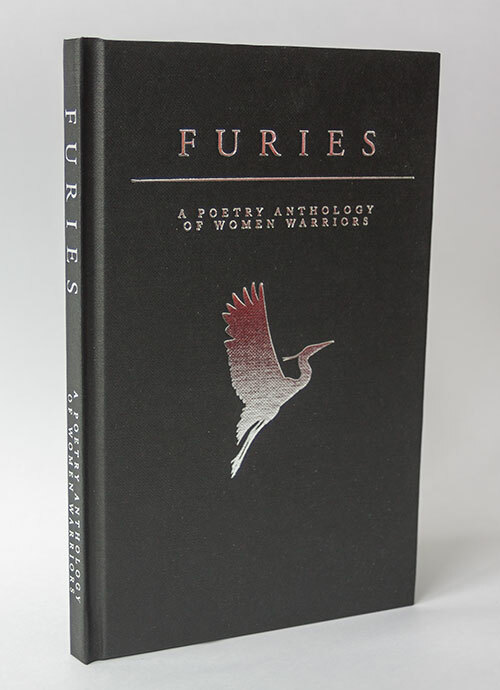 Exciting to see – makes me feel that poetry can do amazing things with words on paper. It was a privilege to attend MINE. The poem was fantastic; the setting beautiful and eerie in equal measure. Holly recited her words gracefully, allowing for small moments of interaction with the audience which I imagine ensured an element of uniqueness to each performance. A truly memorable evening of poetry. Œ is a multidisciplinary retelling of Orpheus and Eurydice by Kiran Millwood Hargrave, Tom de Freston, and Max Barton. This sold-out event was a collaborative venture, that brought together poetry, art, music, and performance to create an immersive narrative experience in the evocative surroundings of 47/49Tanner Street. With de Freston’s paintings acting as visual portals to the Underworld, Barton’s Orpheus sang the audience into its depths, while Millwood Hargrave’s poetry gave an emotional landscape and voice to the often silenced Eurydice. ‘o’ and ‘e’ were given a new life, but not – sadly – a new end. this show brought together the performing arts, the spoken word and visual art forms. An immersive experience the performance thrilled its audience (of which I was a part) and created a sense of wonder and laughter and pain that I have not often felt – and certainly had not expected. Such an amazing night! 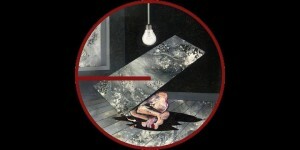 Each component (song, poetry and paintings) strong enough to stand alone, coming together in an extraordinary way. Thank you! 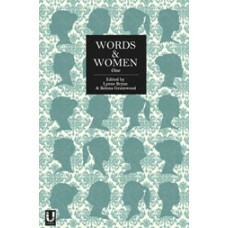 Words And Women is thrilled to be shortlisted for the Best One-Off Event. 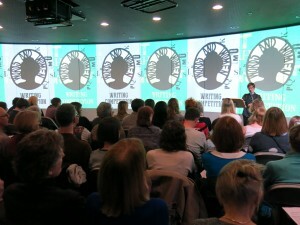 Our vibrant, eclectic literary celebration on International Women’s Day was amazing. More than a reading, it had music, compelling theatre and a brilliant audience. This event was so inspiring, really well attended and a variety of readers and performers – this variety was reflected in the audience too. 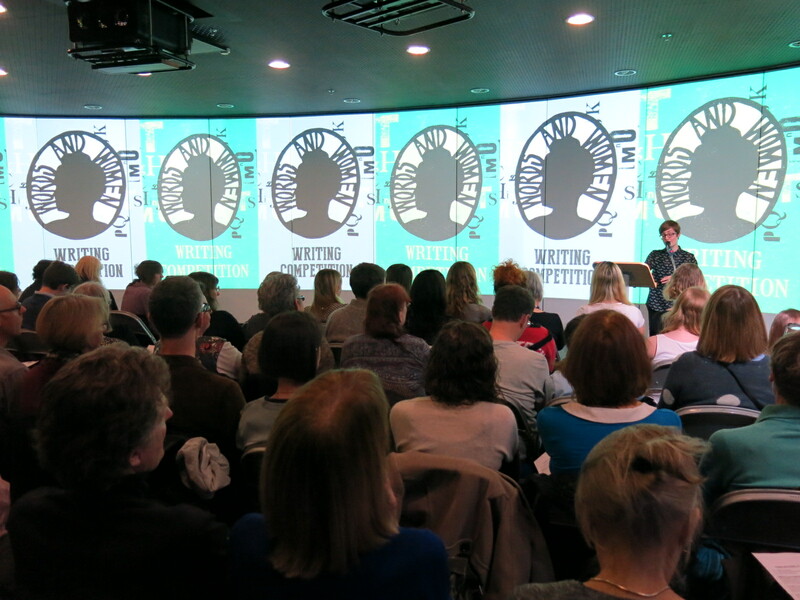 Words and Women are doing really good work for women writers in the east of England. Because no matter what naysayers say, the battle isn’t yet won, and every effort of this kind has my full and loud support.